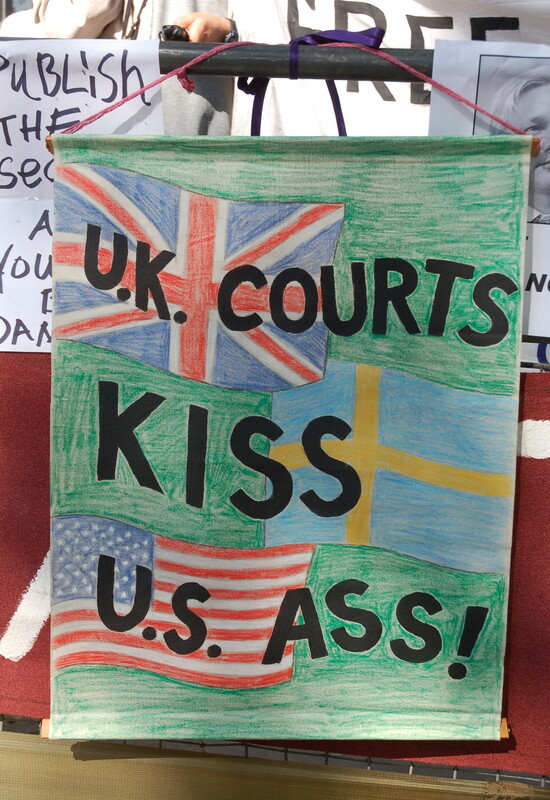 The Supreme Court of the United Kingdom has dismissed the application made by Ms Dinah Rose QC, counsel for Mr Julian Assange, seeking to re-open their appeal. The seven Justices who heard the appeal on 1-2 February 2012 and gave judgment on 30 May 2012 have considered the appellant’s written application, and the reasons for their decision are set out below. These reasons have been agreed unanimously by the seven Justices. In addition, the Court has ordered that, with the agreement of the respondent and pursuant to section 36(3)(b) of the Extradition Act 2003, the required period for extradition shall not commence until the 14th day after today. Mr Assange applies to set aside the judgment that has been given against him and to re-open the appeal. The grounds of the application are that the majority of the Court decided the appeal on a ground that Ms Rose QC, Mr Assange’s counsel, had not been given a fair opportunity to address. That ground was that article 31(3)(b) of the Vienna Convention on the Law of Treaties (“the Convention”) and the principle of public international law expressed in that article rendered admissible State practice as an aid to the interpretation of the Framework Decision. At the outset of her address to the Court Ms Rose gave five headings for the submissions that she proposed to make. The third of these was the relevance of subsequent events, other EU Instruments and the practice of EU States. A considerable volume of documentary material that had been placed before the Court related to these matters. In the course of her submissions under her third heading, as she has accepted, Lord Brown expressly put to her that the Convention applied to the interpretation of the Framework Decision. That Convention, as Ms Rose has recognised, sets out rules of customary international law. Had Ms Rose been minded to challenge the applicability of the Convention, or the applicability of State practice as an aid to the construction of the Framework Decision, or the relevance and admissibility of the material relating to State practice, she had the opportunity to do so. She made no such challenge. Her submissions were to the effect that caution should be exercised when considering the effect of State practice. For these reasons the Court considers that this application is without merit and it is dismissed. Ms Rose has raised a further point which has validity. Para 83 of the judgment refers to offences of which Mr Assange “stands charged”. This is not accurate as charges have not yet been brought against Mr Assange. The judgment will be corrected to read “offences in respect of which his extradition is sought”. This leaves Julian with almost no prospect of avoiding extradition to Sweden apart from a slim chance of an appeal to European courts. The admission by the court that it incorrectly referred to offences of which Julian “stands charged” and the announcement that it will amend this statement in its judgment is small consolation. 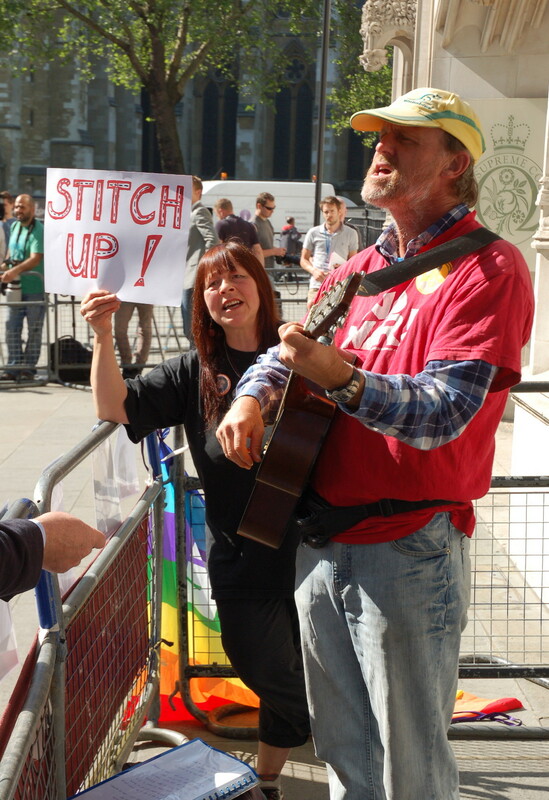 Report from vigil at the Supreme Court on 30 May – click here. Protest rallies and vigils against the ruling are expected around the world over the next couple of weeks. Read a Swedish feminist take on the case here. See also RT News report. However, note that the reporter is wrong about Julian Assange possibly being on a plane to Sweden in 10 days. The ruling states that “the required period for extradition shall not commence until the 14th day after today” (14 June) after which a 10 day “required period” begins. Gallery | This entry was posted in Announcements, Assange and tagged extradition, Julian Assange, Supreme Court. Bookmark the permalink.